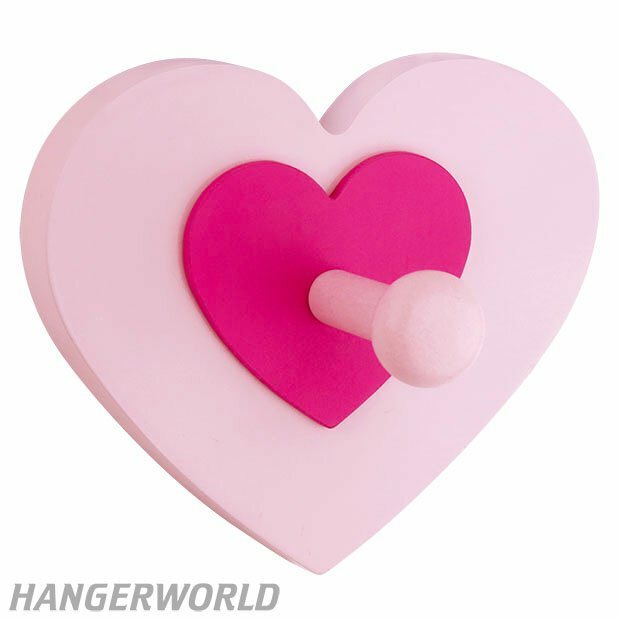 Premium quality pink, wooden, heart shape, wall hook. Ideal for hanging coats, dressing gowns, jackets and accessories. Could also be used for hanging small items like keys, and jewellery. Great space-saving product for cloakrooms, hallways, kitchens and bedrooms. Can be mounted directly onto walls or doors. Easy to fix; comes with 2 screws and 2 wall plugs, and has a mounting attachment on the back. Simply place screws in your desired position and slide the mounting over them. An attractive item that would make a lovely gift. Complete with 2 screws with wallplugs and mounting attachment. Size: Width x Height x Depth 12.5cm x 11cmx 1.2cm (5" x 4.3" x 0.5") approx.